"Oysters and Wine are a match made in heaven, so we are really excited about being part of the inaugural London Oyster Week 2018. The Oyster Academy is a fantastic concept raising the professionalism of the oyster world whilst raising funds for education, restoration and industry support." Katy Davidson - Founder, London Oyster Week. Noble Rot Restaurant & Wine Bar is located in an atmospheric townhouse on Bloomsbury’s Lamb’s Conduit Street. Head chef Paul Weaver and Consultant chef Stephen Harris from the Michelin-starred The Sportsman in Whitstable oversee a full à la carte menu of fine Franglaise style cooking in the restaurant, and a selection of small dishes in the bar. The wine list ranges from deliciously undervalued wines by the glass to hard-to-find gems from the world's leading winemakers. Noble Rot Restaurant & Wine Bar won Wine List Of The Year at 2017 & 2016 National Restaurant Awards and 2016 Harden’s London Restaurant Awards. 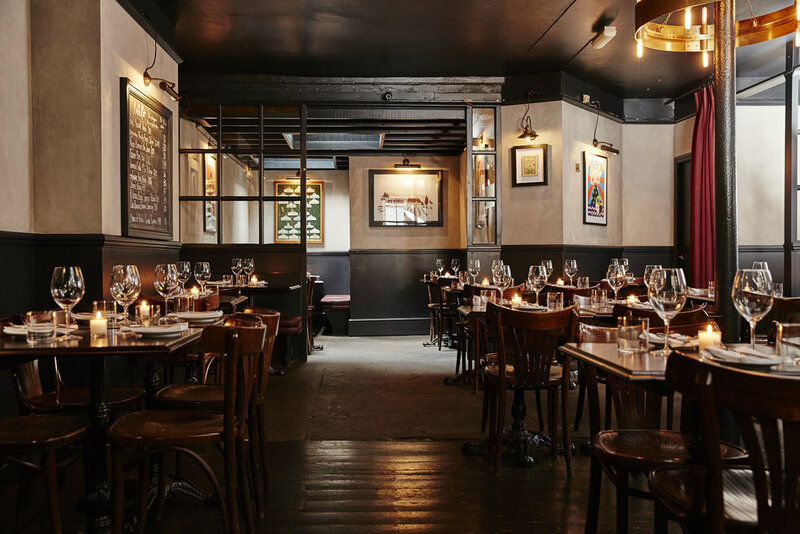 During the event, London Oyster Week passport holders will be treated to a carefully paired oyster and wine flight at this Lambs Conduit Street venue. Head Chef Paul combines the perfect partners of oysters and wine in a creative twist with his brilliant 'Rock Oyster Raveneau'. 'We took the tasting notes from a classic vintage from Domaine Raveneau (undoubtedly the best Chablis producer in the world) and added those flavours on to an oyster. ' Paul Weaver - Head Chef. Think lemon, brown butter, apple and seaweed.